Lamothe believes virtual connections with customers are important but he prefers to sell the maple syrup and pure maple candy produced on his 360-acre farm in Burlington, Connecticut, the old-fashioned way. Rob Lamothe has a website, posts updates on social media sites like Facebook and Twitter and sends regular e-newsletters to keep customers updated on happenings at Lamothe’s Sugar House. Although Lamothe believes virtual connections with customers are important, he prefers to sell the maple syrup and pure maple candy produced on his 360-acre farm in Burlington, Connecticut, the old-fashioned way. “We like to go out and meet our customers,” Lamothe said. He has been loading his truck with fresh maple products and driving to Canton, Connecticut, to set up a booth at the Collinsville Farmers Market for as long as he can remember. Although Lamothe has produced and sold maple syrup for 46 years, demand has spiked. For producers like Lamothe, the Know-Your-Farmer, Know-Your-Food movement has created unprecedented demand for farm fresh produce, eggs, meat, milk and maple products. In a 2015 report, the U.S. Department of Agriculture (USDA) Economic Research Service estimated that local food sales topped $12 billion, which is in part due to double-digit increases over the past 10 years in the number of farms selling direct to consumer. Moreover, the report noted that farms selling to consumers were more apt to remain in business than those selling to intermediate markets like grocery stores. Although spring and summer might seem like peak seasons for farmers markets, Carol Shaw said sales at Shaw’s Maple Products are highest in the fall. “Fall sales are very strong for us,” Shaw said. 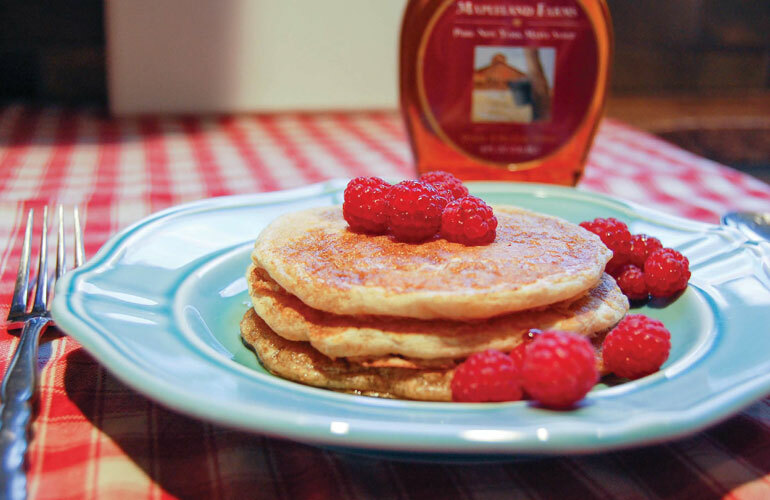 Shaw’s Maple Products participates in three weekly farmers markets, selling maple products from April through October from its Clinton, New York, sugarhouse. Although most items are popular all year, the onset of cooler weather – and with it heartier breakfasts and cravings for homemade baked goods – gets customers excited about drizzling maple syrup over pancakes and adding it to apple cobbler. “In the fall, the days are cooler, apples are out, people are thinking about hunkering down for the winter; it’s one of the best times to sell maple products,” Shaw said. Shaw believes a continued market presence has helped Shaw’s Maple Products develop a loyal customer base, which helps turn sap tapped from 2,300 trees across their 30-acre sugar bush into revenue. “At the markets, customers can put a face to the producers and get to know who’s behind their food,” she said. But setting up a booth is not enough to drive sales. Merchandising is also important. To attract customers, farmers should think like boutique retailers, creating attractive, even interactive, displays with their products. At the Clinton, Westmoreland and Whitesboro markets, Shaw sets out maple syrup (in bottles ranging in size from 50 mL to 1 gallon) and value-added products like maple sugar pieces, maple cream, granulated maple sugar, maple barbecue sauce and maple popcorn; she even sells dog treats with pure maple syrup as the main ingredient. The rationale: The more diverse the product selection, the more attractive a booth will be to customers. Shaw also hands out samples, encouraging shoppers to taste her maple products; she offers recipes or suggestions for how to use different grades of syrup. The combination of free samples and cooking advice allows Shaw to interact with customers, creating a connection. “You can’t talk to a farmer in a grocery store,” she said. The 2017 sugaring season was short, but not sweet. Thanks to a mild winter, producers in some areas of the Northeast saw sap start — and stop — running much earlier than usual. At Mapleland Farms, David Campbell stared collecting sap on Jan. 23, the earliest run in his 45 years of sugaring. Despite adding 3,500 new taps this year, Campbell produced just 6,100 gallons of syrup — 900 gallons below his projected production. Lamothe had 10 good runs between Feb. 14 and March 28, producing 1,400 gallons of syrup but production was down over 2016 when Lamothe’s Sugar House produced 1,560 gallons of syrup. Production was down at Shaw’s Maple Products, too. Shaw produced 840 gallons from 2,300 taps, a decline from 1,013 gallons in 2016. Sap collection was on par but the sugar content was too low to meet last year’s production. Declining production has some producers worried about having enough syrup to meet the demand for fall retail sales. David Campbell also believes that interacting with customers is the key to driving sales, but he doesn’t participate in a single farmers market. 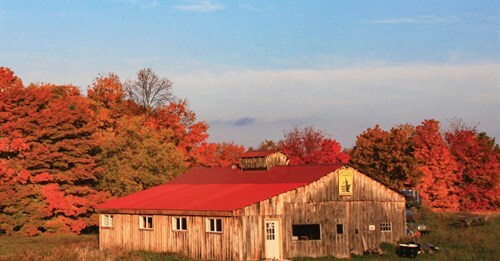 Instead, the proprietor of Mapleland Farms, a 600-acre sugar bush near Saratoga, New York, prefers fall festivals. 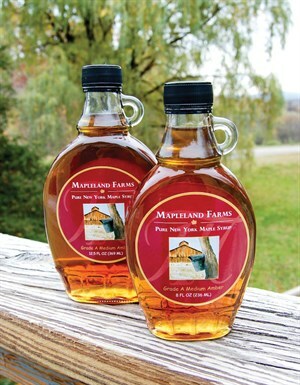 Mapleland Farms sells about 75 percent of its syrup and value-added maple products between August and December; most of those sales come from weekend pop-up events such as the Hudson Valley Garlic Festival and the New York State Sheep And Wool Festival in Rhinebeck, which attract a combined total of more than 35,000 attendees. In total, Campbell participates in eight fall festivals, traveling as far as the Poconos – 460 miles roundtrip – to take advantage of the seasonal hunger for sweet and savory maple products. Mapleland Farms generates more than 20 percent of its annual sales during these fall festivals. Shaw also takes advantage of fall festivals near Clinton to sell maple products, noting that different events draw different crowds. Shaw sells more maple syrup at the farmers market and more value-added products and baked goods at festivals. Lamothe participates in fall festivals, too, including events in Bethlehem and Arlington, Connecticut. He also keeps the farm store open seven days per week and markets maple products through local retailers to ensure customers always have access to his fresh maple syrup and value-added goods. For successful fall sales, think outside the box (or booth). Here are three retail channels producers are using to promote maple products to customers this fall. The online shop allows sellers to set up virtual storefronts to sell handmade items, including foods. Setting up an account is as simple as posting photos, setting a price and sharing information about maple products and the farm. Orders are processed through the Etsy platform. Once a transaction is made, sellers ship items to buyers (don’t forget to calculate shipping and include that fee in the transaction). CSA shares are no longer just for vegetables; the model also works for maple products. In exchange for an upfront fee, producers provide a share of the harvest, mailed direct to consumers. The cost of each share depends on the products it contains. Some sugarers are allowing local food fans to “adopt” a tree in the sugar bush. For a small fee, adopters get a certificate of adoption along with a small bottle of syrup from “their” trees. 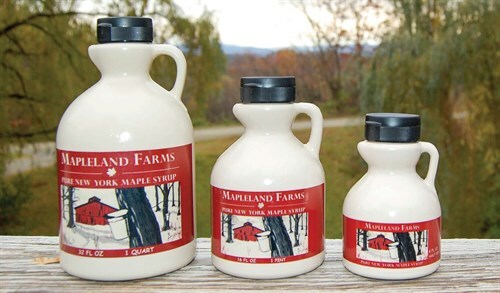 In addition to generating revenue, adopt-a-tree programs are clever marketing tactics — and great gift ideas — to help promote local maple products. Fall is a great time to promote adopt-a-tree programs as gift ideas for the holidays. Regardless of where producers sell their products, technology is important for expanding payment options, providing flexibility to customers and increasing odds of more or larger sales. Lamothe estimates that 80 percent of his sales are via credit or debit cards. Lamothe’s Sugar House also uses technology to track customer orders and keeps that information on hand at the farm store and their festival booths. 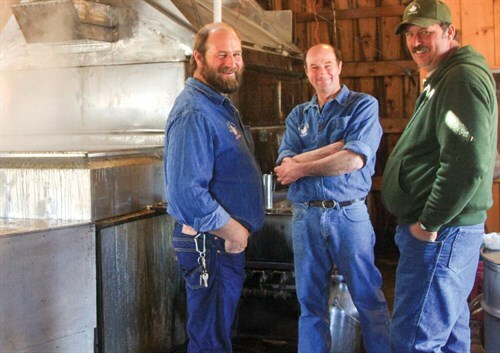 With a few taps of the keyboard, Lamothe can see which grade of syrup a customer purchased the previous year and offer them the same product – along with the confidence that they are buying the product they tried and loved.